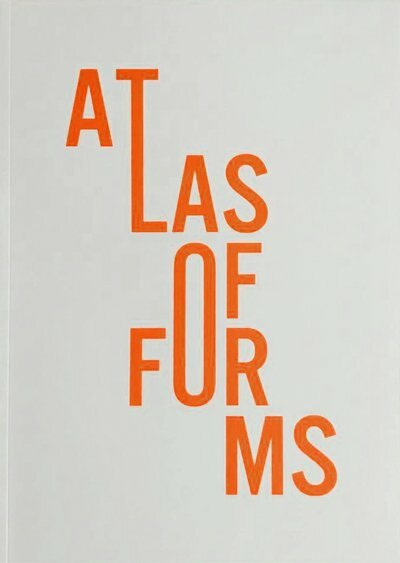 Atlas of Forms is a large book of images that documents every kind of shape found in architecture of all types. Within its 256 pages, are nearly 1500 photographs patiently collected from the Internet and classified according to the rudimentary criteria of geometry (circle, square, triangle, polygon) and their current state (construction site, completed, abandoned or in ruins). These categories mix and mingle without interruption. Opening with a series of spherical structures, like small worlds under construction, and concluding with an image of an overturned bunker, this book proposes a long meandering, a sort of hypnotic chant with its recurrences and variants, its repetitions and ruptures, its harmonies and dissonances. More than a volume on architecture or photography, Atlas of Forms is primarily an elegy to diversity, every forms of diversity. cm 23,5×33; pp. 256; COL; paperback. Publisher: Poursuite Editions, Paris, 2017.